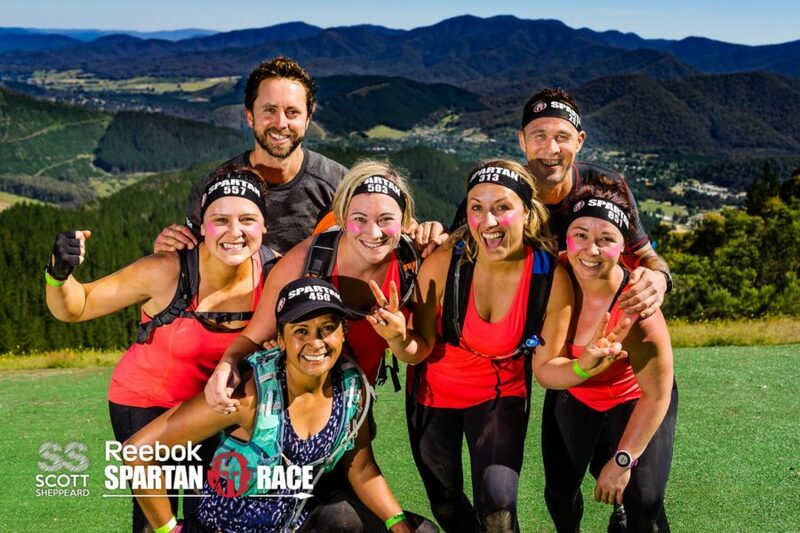 Is Spartan Racing the perfect Goal to achieve? If you have attended a DCPT training session, read any posts on the group page, looked at the goals wall or event calendar in the gym, or have had more than a 3 minute conversation with me, you may have realised I have a more then a casual interest in Spartan Races. A Spartan Race lights a fire in me that I never realised existed. Sometimes I think maybe it’s because I like medals? Getting dirty? Having a new profile pic? An excuse for a rest week? But when I truly think about it, it’s a fire that’s born out of a love to overpower my negative thoughts. To set goals and smash them. To prove myself wrong. To experience the camaraderie and connection (#squadgoals) that only comes from starting, and finishing, one of the most mentally fatiguing races you will ever be a part of, with a group of people going through the exact same thing. Notice that I said mentally fatiguing, and not physically fatiguing. Not that it doesn’t cause your body some discomfort – you can’t expect to traverse mountains and mud pits without a bit of recovery required – but that’s actually not the hard part. That would be arguing with yourself as to why, when your legs are burning, when you’re 3 hours in, when the terrain isn’t flat, the weather is beating down, the thought of another burpee makes you want to cry and your head is giving you every reason to quit, why you started this and why you will finish this. And it’s more then worth it. I’ve never had a feeling of elation quite like it. Not when I lost 30kgs. Not when I quit smoking. Not when I hit my 120kg deadlift goal. Not when I ran a half marathon in under 2 hours. Not when I got backstage at Bliss N Eso. Crossing that finish line after knowing how close I came to throwing in the towel, knowing what my body and mind can achieve…….in that moment, I am invincible. What the hell does that actually mean? Dan and I have both heard the same thing from various people that we KNOW are more than capable of completing a Spartan Race. I can’t run that far! I’ll never keep up with everyone! I’ve never even run a fun run before! I can’t even climb a rope! It’s made us realise that a lot of people have this opinion that when we head out for a Spartan Race, that we run like gazelles through mountainous ranges whilst leaping tall walls in a single bound, over a period of 6 hours only to cross the finish line looking like the latest Calvin Klein model with windswept hair and a slight pink to our cheeks that only comes from dancing with unicorns. Okay, maybe that’s an exaggeration. But to set the record straight, here is my experience of what a standard Spartan Beast (21km) Race is like. And I’ve done like 3, so I’m pretty much the leading expert in the field. You start off bouncing around with a bunch of people you don’t know, all of which are just as excited/nervous/unknowing as you. There’s a pretty cool dude Max yelling out words of encouragement to the crowd. High fives all round. A quick yell of AROOOOO!!!!! And you’re off. Run the first 2-3km. Hit an obstacle. Wait for your turn to complete obstacle. Complete obstacle (or burpees!). Wait for the rest of your group. Run/walk/jog to next obstacle. Repeat. A lot. General rule of thumb: when flat or downhill – jog; when uphill – walk. Pretty simple, eh? Hiking up and down some steep and rocky terrain. Crawling under and climbing over stuff. Jump over fire log with style (this will make for great Instagram photos later). Cross finish line. Collect earned medal, t-shirt and beer!!!! High five your mates. High five the strangers. Make a beeline for the food trucks. Eat all the carbs. So in summary – if you can handle hanging out with some pretty cool people for 6 hours, make friends with randoms, don’t mind getting dirty, and enjoy beer and carbs?? Then you can definitely complete a Spartan Race! !